I started learning Korean sometime in 2008, and moved to Korea in 2010 to get more exposure to the language. I never took any formal classes, and taught Korean to myself from piecing it together from whatever information I could find. I would take this information and ask Korean people for more detailed explanations and their opinion, feedback and feelings about anything I learned. Although frustrating and time consuming at the time, in the end this process gave me a very deep understanding of vocabulary, grammatical principles and how they all come together to make Korean sound natural. (It helped that the vice principal at the school I used to work at taught Korean language in a Korean high school for 20 years). I’m very meticulous with everything, and learning Korean was no exception. For more than two years, I kept log-books of every word and grammatical principle that I learned in Korean. At the time, I didn’t do this for any purpose other than to organize my learning. 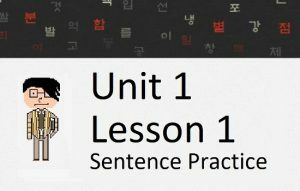 After two years, I realized that I unintentionally had written a step-by-step organization of concepts that any English speaker would need in order to begin learning Korean. These notes ended up being the foundation of this website. However, having gone through the whole process of teaching Korean to myself, I realized I could present these concepts even better than I had originally taught them to myself in the first place. I knew what was difficult; I knew what was easy; I knew what was confusing; I knew what was important; I knew what was not important; and I knew the order in which grammatical concepts should be learned. Each lesson that you see is something that I taught to myself many years ago, but with the benefit of me already having gone through the process before. Now, here in 2017, I have had many years to reflect on what I learned back when I first started learning Korean. 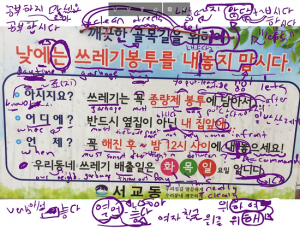 My lessons are a reflection of each concept I learned and explained step-by-step in a way that I would have wanted them to be explained to me as a Korean learner. My lessons are constantly adapting and changing. They adapt based on feedback I receive from learners, and they adapt based on my understanding and reflections of concepts. 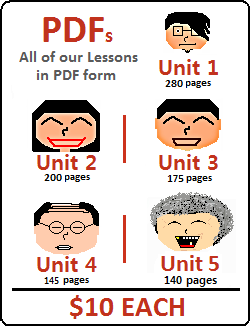 For example, I have a Unit 1 PDF that is a compilation of every Lesson in Unit 1. This document started out as 130 pages, but has now grown to be 290 pages. How did I come up with an additional 160 pages? I added content, I expanded on explanations, I made explanations more clear and I provided more examples. Anytime a learner contacts me and asks me a question, if I cannot answer their question by saying “The answer to that is explained in Lesson X”, then I add an explanation to my lessons. Five years of constantly expanding and clarifying explanations of Korean grammar concepts has gotten me to this point. My method is simple. I provide you with everything you need to learn Korean. The only thing you need to do is follow our lessons from Lesson 1. If there is something that you cannot understand, contact us and I will be happy to make the explanation more clear for you, and all the learners after you. Everything you see on this website was written, designed and explained by me. Although everything is originally written by me, everything written in Korean is checked by a native Korean speaker. The Korean speaker helping me with this website is my wife. We have been together since 2010, and we got married in 2015. She makes sure that everything written in Korean is correct and is also the voice behind the audio recordings that you hear. The only other thing on this website not done by me are the translations to other languages. If you look in our earlier lessons, you’ll find translations into languages including Italian, Spanish, Russian, German, French, Chinese, Portuguese, Dutch, Arabic, Finnish, Polish, and Greek. 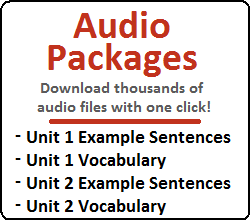 These translations are done by fans of the website who want to help speakers of their own language learn through my method. Although I am just one man, I have huge plans to continue to develop this resource in the future. I am always coming up with new ideas and new things I can add to this website to enhance the learning experience even more. If you have any questions, you can always check out our FAQ or Contact Us.